Join us on the Roessmund Desert Golf course on the 7th of December 2018 for a day filled with great Golf and fun for the whole family. 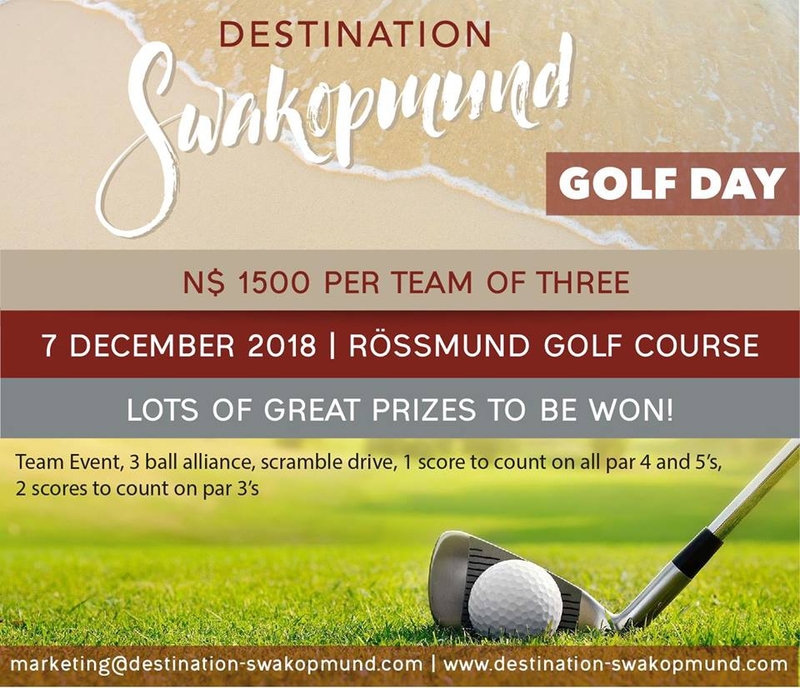 Sign your Team up now by sending us an e-mail to marketing@destination-swakopmund.com. We will also be having a Putt Putt and Bowls competition. There will be amazing prizes to be won, so make sure you do not miss this opportunity to win a weekend away for two in some of the most amazing places in Namibia and even South Africa.